Milky Way - Milk chocolate with a light whipped white centre (62%). Mars - Milk chocolate (36%) with soft nougat (34%) and caramel centre (29%). Twix - Milk chocolate (35%) covered caramel (32%) and biscuit (26%). 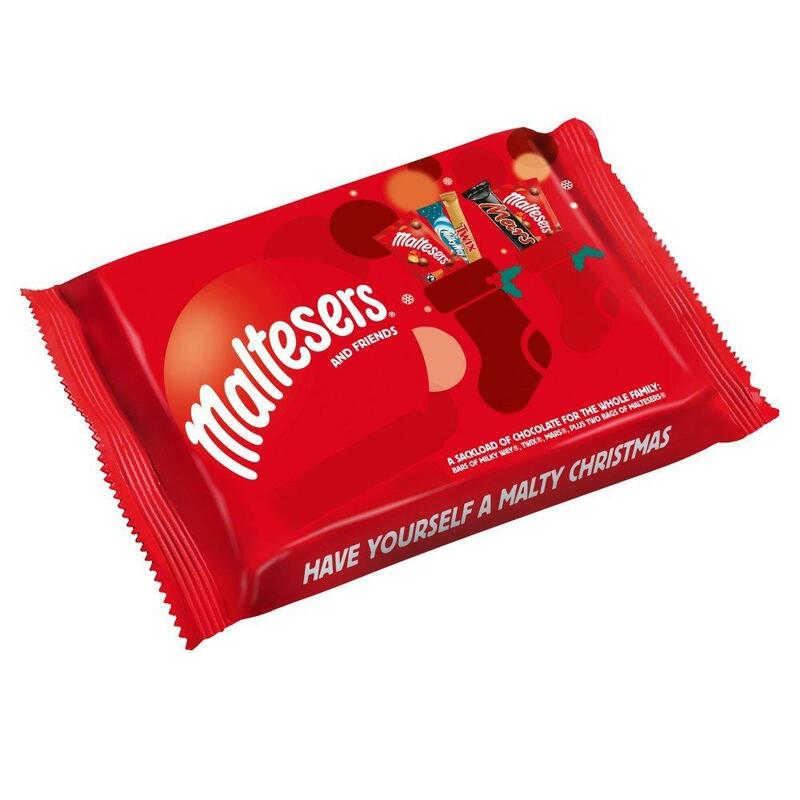 Maltesers - Milk chocolate (73%) with a honeycombed centre (23%).